The White Whale, an extra heavy Korean microfiber car wash towel, is extra thick and soft. 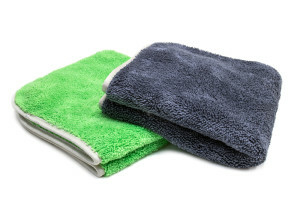 This plush microfiber towel is perfect for a rinseless car wash. Bright white so you can see where the automotive microfiber towel is dirty.